The challenge had been instigated by Home Affairs Minister Peter Dutton, whom Morrison -- also to the right of the party -- defeated in a secret ballot. He sought to heal the wounds exposed by the infighting. 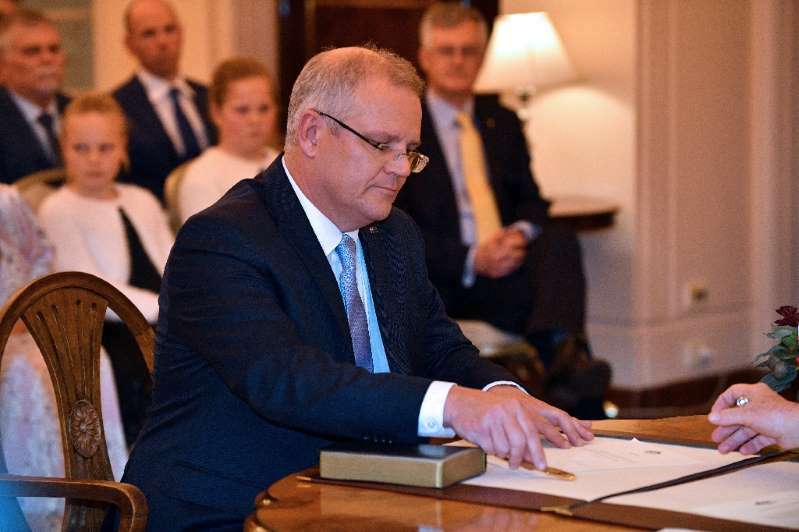 "This new Liberal-National team is a next-generation team," Morrison told reporters in Canberra of the governing coalition between the Liberals and the rural-based Nationals party. "What we have done today in pulling this team together is provide for stability... it does begin the process of healing." But there was no room for ex-PM Tony Abbott -- a vocal critic of Turnbull after Turnbull ousted him as leader in 2015.